Vitamin D has recently become a hot topic in the world of health and wellness. From small health blogs to the New York Times, this vitamin has been featured just about everywhere. With so much information available, it can be overwhelming to sort through the thousands of resources that make claims about Vitamin D. Let’s take away some of that confusion and take a closer look at this miraculous vitamin! First, it is important to understand how Vitamin D works within the body. Unlike other vitamins such as A, or C, Vitamin D actually functions as a hormone. More specifically, it is known as a prohormone, anything the body converts to a hormone. The process by which this occurs is fascinating but unfortunately quite complicated; to keep it simple, here is how it happens: The body takes cholesterol that is found under our skin and with the help of ultraviolet rays from the sun, converts it to Vitamin D. It is then the prohormone’s job to help the body absorb calcium to form bone, strengthen the immune system, and regulate muscle function. Vitamin D is also present in a small group of foods including swordfish, cod, tuna, salmon, sardines, liver, milk, and egg yolk. Notice that these are all animal products—this is because vitamin D is the product of cholesterol conversion; only animals and humans produce cholesterol. Plants do not produce it; therefore, it is not found in plant-based foods. Because of this, many items are fortified with Vitamin D such as orange juice and breakfast cereals. One interesting exception to this rule is the recent discovery of mushrooms containing high levels of Vitamin D. One study from Boston University Medical Center suggests that eating mushrooms provides similar levels of Vitamin D as a daily vitamin supplement. This is excellent news for vegetarians and vegans! Now that you know what Vitamin D is and where it is found, you may be wondering, why is it so important? Adequate bone formation is a major component of a healthy body, and Vitamin D is just as crucial as calcium in this process. Mental health is another aspect that many people wouldn’t necessarily think of when it comes to vitamin D. Because it acts as a hormone, it is responsible for the adrenal function which produces serotonin, norepinephrine, and dopamine—low levels of these hormones can lead to depression. This is why a Vitamin D deficiency is also associated with depression; you need Vitamin D to regulate the “happy hormones” in the body. This explains why we are often advised to get more Vitamin D during winter months—we have less sun exposure; therefore, the body can’t convert as much cholesterol, resulting in low levels of this crucial vitamin. For that reason, many people suffer from seasonal depression during the winter months. The immune system is also heavily influenced by Vitamin D. This is especially important during this time of year while colds and the flu are present. Recent studies from the Vitamin D Council have shown that those who take Vitamin D supplements are at about half the risk for developing an upper respiratory infection. If you are interested in the biological processes behind the immune function, check out this article from the Vitamin Council. Vitamin D is arguably one of the most crucial substances for the body, yet most people are severely deficient. Low levels can lead to serious health complications if not addressed. Some of the risks that can occur from a deficiency include cardiovascular disease, early onset of dementia, higher risk of cancer, weakened immune system function, weakened bone tissue, and significant weight gain. Fortunately, there are several options when it comes to treating a deficiency and it is typically an easy fix with dietary and lifestyle changes. With so many sources and such an abundance of information out there, I know how overwhelming it can be! The world of health is vast and can often times be confusing. Now that you are equipped with some of the necessary information about Vitamin D, I hope you feel more knowledgeable and better equipped. 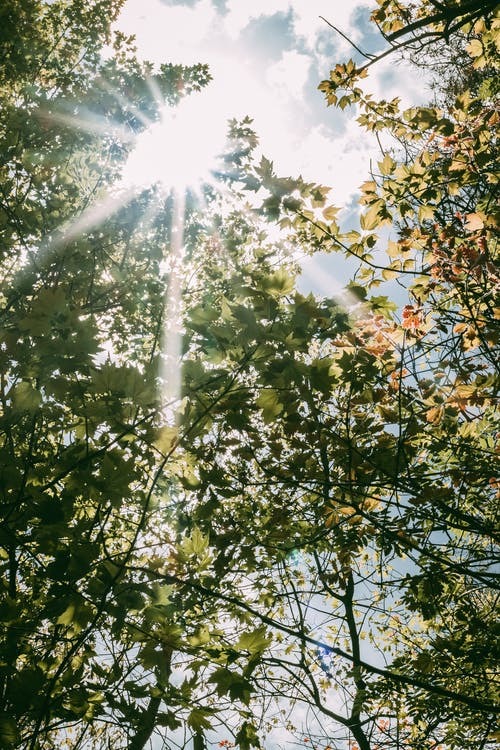 Vitamin D plays so many crucial roles throughout the body—from immune function and bone formation to mental health, it is so important that the body has an adequate amount so these processes can occur. So head outside and get some sunshine! For more articles like this, check out our Fill Your Plate blog. Looking for some recipes that the whole family will enjoy? Check out the recipe section. This entry was posted in Health Tips and tagged Body, Health, Mental Health, Sun, Sunshine, Vitamin D. Bookmark the permalink.